Zhelle.Dk: Where did the summer go? Have you had a great summer? Has the weather behaved where you are? I sure hope so! I had a great holiday in Wales where the weather was beautiful, and when I got home it was autumn! Very surreal and quite sad, except for all the tea and candles that are allowed when autumn hits. You know that feeling, when you are sure that you have done something, and it then turns out you haven't? I cannot believe that it is several months ago I made the last blog post! It certainly doesn't feel like that long ago. So it is well on time to give you an update of what I have been up to. 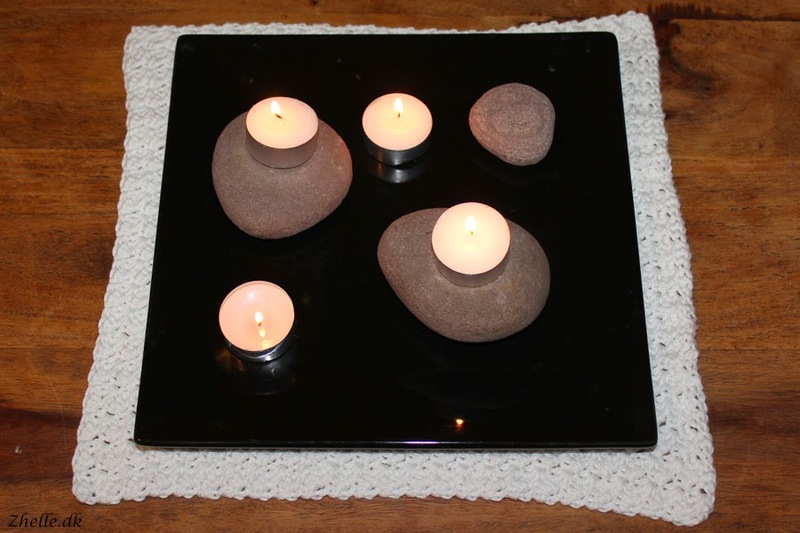 Yesterday I added a new widget to the blog. It is the Instagram widget you can see in the menu on the right. It shows the newest pictures I upload to Instagram, and most of them are my current and newly finished projects. I have had quite a creative summer. I have finished several embroidery projects and also a few crochet projects, which is excellent because it means I can start new ones! I have started quite a few new projects and I am looking forward to introducing them. I also have a few designs for the shop on the cooker, and they will be up within the next month or so I reckon. I am quite excited about one of them because it combines two things I love and it might be made into my very first Stitch-A-Long! Say hi to a chickadee! This little fella came with an issue of Cross Stitch Crazy, which happen to sneak into my shopping basket while I was out shopping. 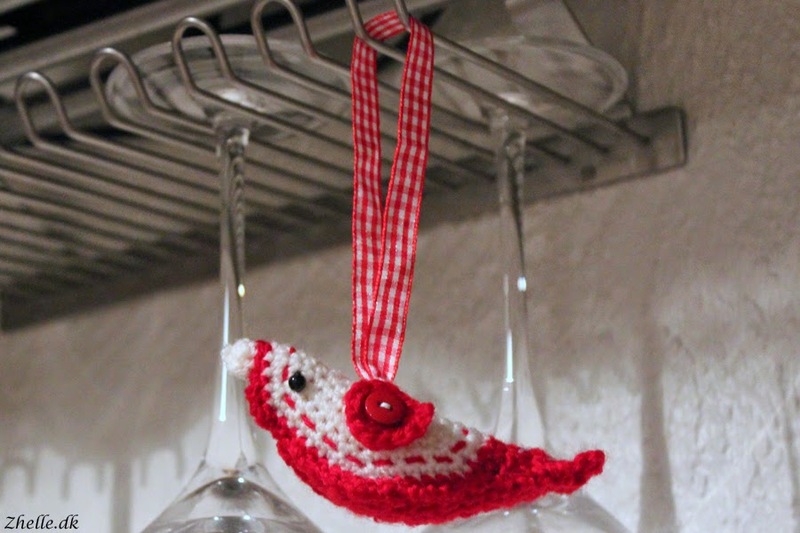 He is such an adorable little bird, and I love the colour scheme! 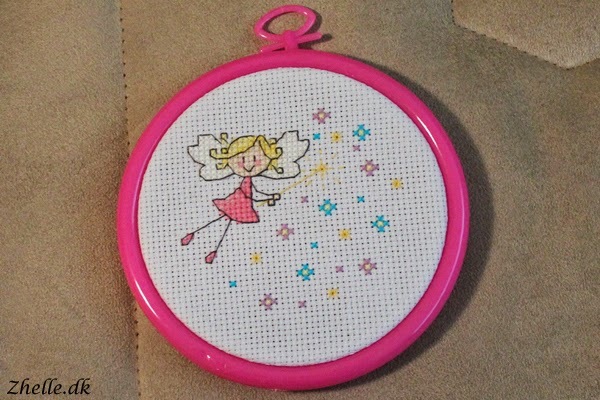 This little lady also came with a Cross Stitch Crazy magazine (it might actually have been the same magazine, come to think of it). She was a lovely stitch but the confetti stitches were absolute hell! These two are gifts I made. I bought both the kits from the gift shop connected to Pembroke Castle and they are made by Textile Heritage. 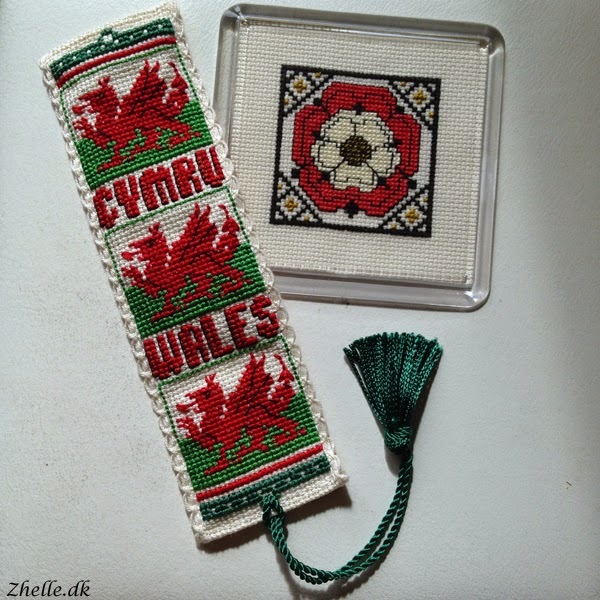 The bookmark is the Welsh flag repeated three times and then both the Welsh and English version of "Wales". The coaster is a tudor rose. 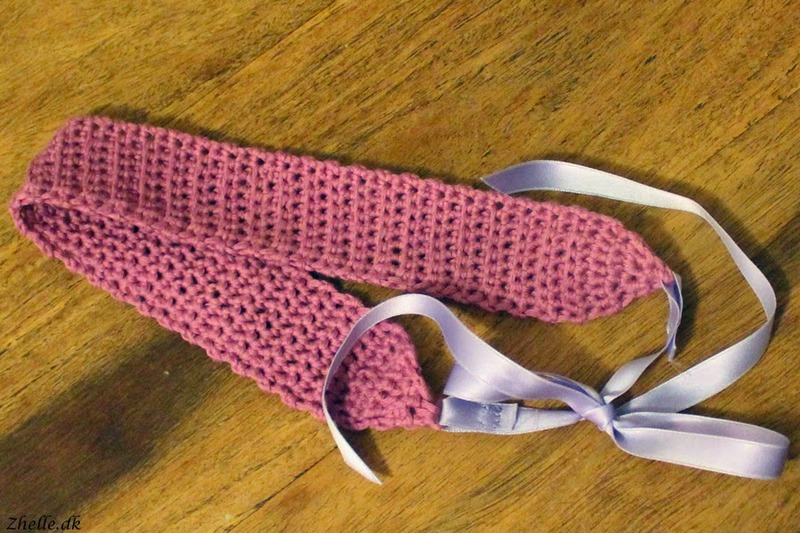 I really enjoyed making these, and I am quite happy that I finished the bookmark, as I have another bookmark from Textile Heritage, stitching completed, but I haven't finished it yet. It will certainly be finished soon! 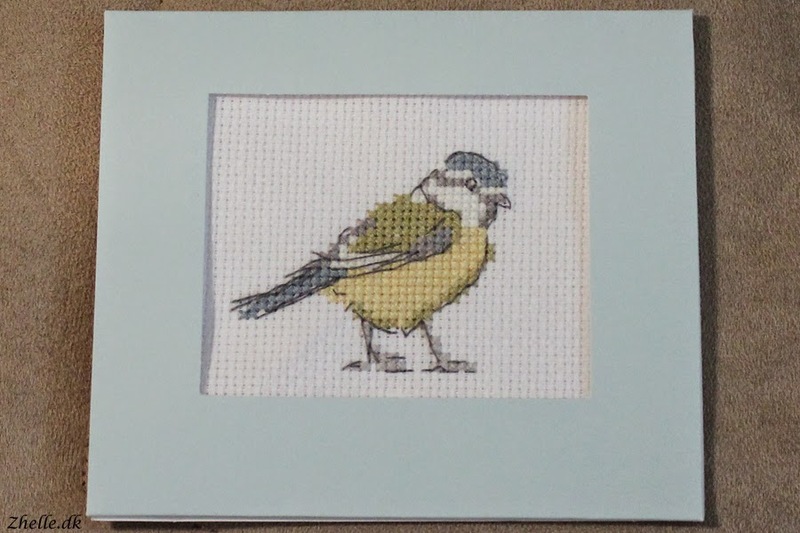 That was my finished stitching for the summer. The rest of the finished projects are all crochet! This hairband is of my own design. It was lying in a basket, only missing the ribbon, and I have finally added the ribbon! I absolutely love it, and it is the only headband so far that actually stays where I want it to stay without any hairpins. This little tablecloth was supposed to be a baby blanket, but I wasn't happy with the size of it, so it ended up as a table cloth instead. I love the stitch, and it is not the last thing I will make with it. It could probably do with some blocking, but I don't think that's gonna happen anytime soon. 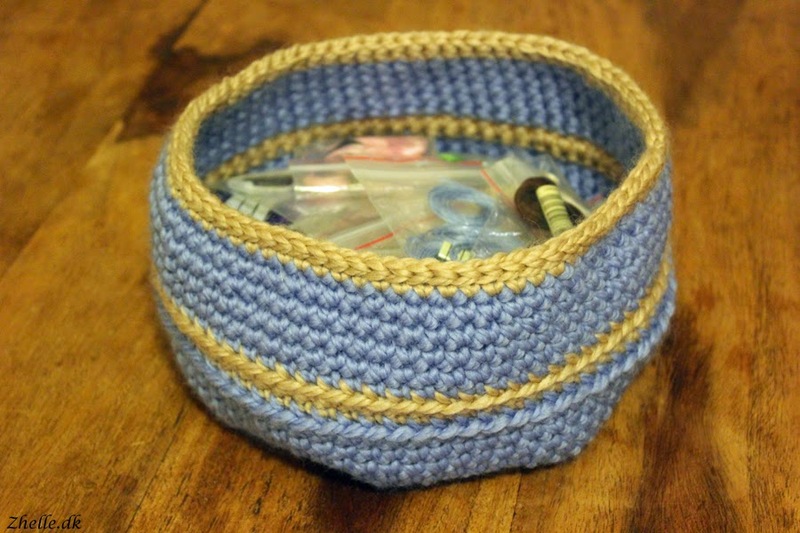 This basket is an adaption from a pattern that was in the Simply Crochet magazine. I made it bigger and added some colour variation to it. It contains my DMC embroidery threads, and I am really pleased with the way it turned out! That was my finishes of the summer. Next time it is the WIPs turn, and there's plenty to show you.